This article is not about my usual topic of performance for older cyclists. 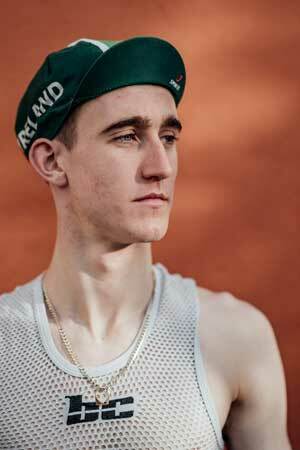 Rather, it is a reflection on the character and development of my former club-mate, Eddie Dunbar, who is now with Team Sky / Inios. 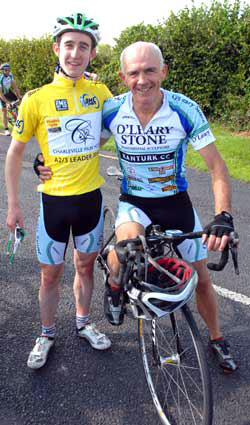 My interest in writing the article obviously stems from the fact that I rode with Eddie off-and-on as a club-mate from the time he was 12 until his last amateur race in Ireland – the Charleville 2-Day in 2014. However, it also reflects the concern I have about mental wellness and cycling, especially relating to yournger cyclists, and I have posted articles on this previously. This article was first publised in Rouleur Magazine in October 2018. Images are by Russ Ellis. It is an early season race at Minnane Bridge, Ireland, in April 2013. 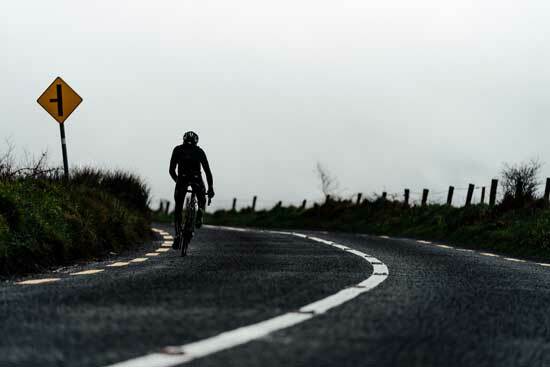 The weather is miserable – cold and windy – and the event covers a hilly and exposed 106-kilometre route to the south of Cork City. The plot seems predictable: the Juniors get a three-minute handicap and will half-race for a while before being caught and put to the sword by the elite A1s. The race comes around the first of six laps and Eddie Dunbar, my club-mate from Kanturk Cycling Club, is out on his own. Scattered chasers follow and then the leading A1s pass. Somebody checks a watch: the gap has gone out. Eddie is attacking them. He has just turned 16 and in only his second race as a Junior, it’s a novice kamikaze move. The laps tick down, the advantage creeps out, and the pursuing bunch whittles down. Eddie finishes almost five minutes ahead after a 100-kilometre solo ride. It isn’t his physical capacity – such a huge engine in a diminutive, boyish frame – that stuns me so much, it’s the sheer audacity of the youngster to attack the elites from the gun. Danny Curtin, his coach and mentor, would have had something to do with it no doubt: he would have instructed the kid to go for the seemingly impossible and Eddie would have done what Danny told him. It is now 2018, almost five years later and it feels slightly odd to talk to Eddie in our respective professional capacities rather than as casually-acquainted club-mates. I’m interviewing him for Rouleur and he has been a UCI Continental-level professional for three years. 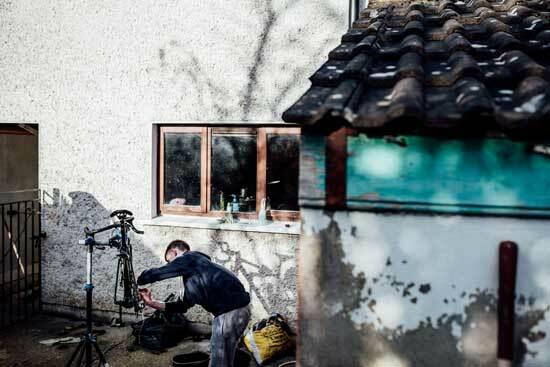 We sit in the living-room of the family’s compact, terraced home in the small village of Banteer in southern Ireland, an hour north of Cork. The 22-year-old tried Girona but didn’t like being in the perpetual cycling bubble and lives at home with his sister and mother. 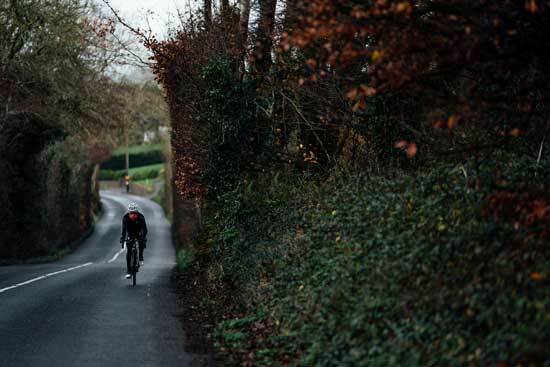 Over winter, he trains on the heavy local roads or on his turbo trainer, squeezed into the kitchen in front of a hot fire with a lot of kit on, “just to make it that bit harder”. Already with that worn, austere look of the professional, Eddie is on the cusp of making it into the big time, having signed with Aqua Blue Sport for 2018. At 15, he told a local newspaper that he aimed to win the Tour de France; he later elaborated to Rouleur: “I always said to my mum that I would never quit cycling until I won the Tour. I reckon the likes of the Vuelta or Giro will probably suit me better though, they’re that bit hillier.” Where did this self-belief come from – almost a sense of destiny – at such a young age? The thing is, Eddie was never cocky or arrogant or naïve – everybody likes our Eddie – so he must have believed that he can really do this. But there are so many hugely talented young riders out there, all trying to climb the same greasy, narrowing ladder to the top. The majority will fall off with all the consequences. It was a milieu in which innately gritty and ambitious young riders could find challenge, expression and fulfilment, and the main recurring themes in Eddie’s talk of those formative years are fun, comradery and Danny’s “mental training stuff”. Eddie was a poor sprinter and some of us thought him tactically naïve ­– a workhorse, taken out in sprints, who could only win on his own on hard circuits. He might never have won a national Youth title had Danny not switched his focus to the time-trial for his final under-16 championship. One title was pretty ordinary in Kanturk: he wasn’t destined to ride a Grand Tour, let alone win one, it seemed. I move on to his transition to Junior. We had missed him from the Sunday club spins that winter and Danny was sidestepping queries with vague talk about medical tests. I hadn’t realised that Eddie, at 15, was already vulnerable and having an early brush with mental wellness issues. It was the end of January before various cardiology tests were concluded and he had just two months to prepare for the season. He was physically fresh, however, put his faith in Danny’s training and the miracle of Minnane Bridge was an early indication of something special. 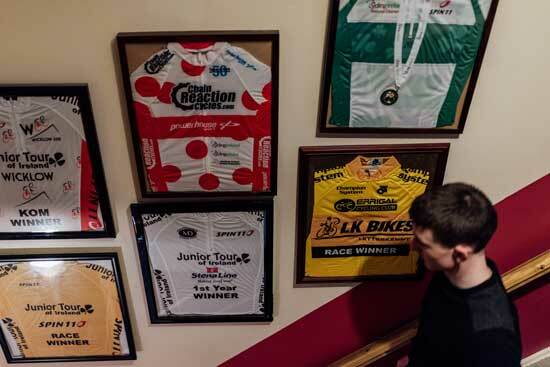 But why, out of all the youngsters that passed through the Kanturk club, and perhaps out of a generation or more of Irish cyclists, did Eddie become the special one? Yet it had to be more than just preparation and physical capacity. Some distinctive traits begin to consistently feature as we chat, especially about his Junior years (2013-14) and particularly what it took to win two Junior Tours of Ireland: primarily, a form of principled and single-minded resolve. This six-day international is the highlight of the Irish Junior calendar, but Danny’s riders had never won and there always seemed to be tension in the Kanturk camp whenever they were on Irish teams. His individualistic ways grated with the cycling establishment and he felt that his riders were less-favoured provincial outsiders. He responded by facing down the establishment, attacking the prestigious race and eventually cracking the bunch on the third stage. He simply rode away with another jaw-dropping solo display that gained two-and-a-half minutes: it was game over, point proven. He won the last stage too, “as a token to thank my team-mates for their efforts”, and there was a rare display of emotion at the end as Danny embraced him, tears flowing. Then it started again the following year. Eddie was the favourite, even though the top race had never been won twice by the same rider in its 36-year history. But his team-mate, Michael O’Loughlin, now with Team Wiggins, put him in a domestique role again by winning the opening time-trial and taking yellow. Eddie had been last off, blamed a change in the wind and openly defied the establishment yet again: “I said I’m not letting the wind decide my race: simple as.’” Then he unleashed that uncompromising resolve on the next stage. However, like many, I’d read it wrong: he wasn’t being tactically naïve and impetuous, but had the odds calculated. “I knew they would crack before I would, especially on Irish roads,” Eddie says. “It was more to prove a point than anything.” He eventually soloed home almost three minutes ahead. That desire featured yet again in his National Championship road title. Eddie had failed to win his first Junior Road Championship – the course was too easy, apparently – but it seemed gifted to him the second year by the local Blarney Club which hosted the event: he was generally considered a one-trick-pony and the route finished on a tough, one-kilometre drag where he should have been able to get rid of the sprinters. I was baffled when he came to the finish with a noted fast finisher. “I wanted to show I could win a race any way, not just to finish on the climb and come in on my own. I showed them I can do it this way too.” It seemed a high-risk gamble to defy tactical convention in order to prove yet another point. I hadn’t noticed this ruthless trait in him before. That outsider streak also came into play in his preparation for the World Junior Championships. He was being touted as Ireland’s best hope since Mark Scanlon, who won in 1998, but he finished off the back, three minutes down. 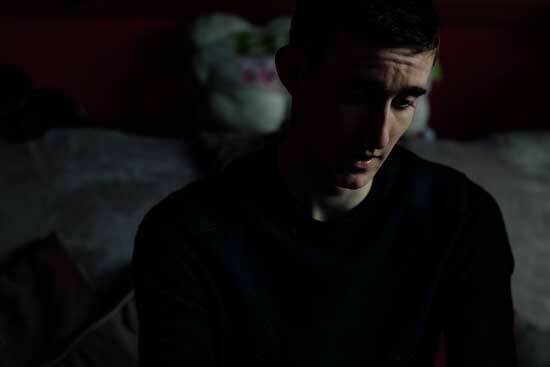 Perhaps his principled independence cost him in that instance, but there was also accumulated stress and fatigue from six months of hard training and racing, the weight of Irish cycling expectation and looming decisions about professional options. “The minute I crossed that finishing line, there was a sense of relief and the pressure just lifted off me,” he says. His transition to the senior ranks brought pressures of another kind – “There were people ringing Danny left, right and centre, telling him I need to go to this place or that place” – but Eddie had a very measured approach with clear priorities, looking for “someone who is interested in your development and is going to look after you and listen when you had something to say”. For 2016 and 2017, he chose a slightly different path again and joined Axel Merckx’s US-based Hagens Berman Axeon squad. 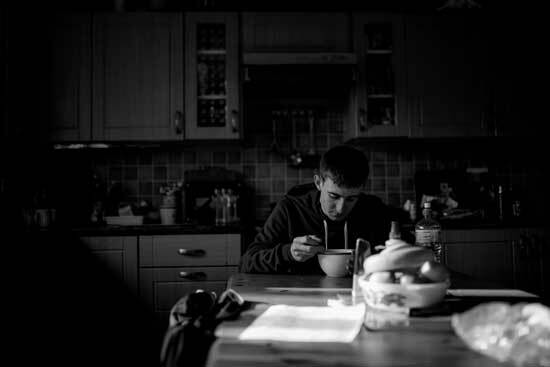 He struggles, however, to articulate how the first year unfolded: “There was something missing – I didn’t know what it was.” His difficulties included a broken collarbone in April from a crash while motor-pacing near home and it was particularly bad timing, just five weeks before his first Rás. This historic race dominates the Irish cycling psyche and is expected to feature on a top home rider’s palmarès by the nation’s fans. Dunbar led the Irish team but was still in a negative frame of mind and almost abandoned after a mechanical cost him the chance of the race lead on the fourth day. The weight of expectation prevailed, however, and he got his first professional win on stage seven, ironically in a sprint from a four-man breakaway. “The stage passed where my dad is buried so there was a bit more to it than people knew,” he says. Medical assessment followed and he had to accept three months recovery off the bike, missing his main end-of-season targets, the Tour de l’Avenir and the World Championships. Being off the bike was “very scary”. Life outside the cycling bubble, combined with the injury and recovery process, apparently triggered something of a psychological crisis. We talk about his decision to join Aqua Blue Sport when he had WorldTour options. It fits with his development strategy and, moreover, he likes the “Irish feel” of the squad, founded by fellow-Corkman, Rick Delaney. He is proud to contribute to Ireland’s first Pro Conti team. His ambitions for the season seem modest in one sense, but are consistent with his patient approach: primarily he hopes for a year of solid, healthy racing, to earn respect in his new team and to help them win races. There is a paradox here, in the tension I’m sensing. On the one hand he is almost bursting with unrelenting ambition and self-belief – “I know my best is capable of winning a top-level race,” he says. On the other, he is patient: “I’m only 22 – there’s plenty of time for the WorldTour.” That sense of tension now seems more like a coiled spring: “As long as I know I’ve given it my best shot. I don’t know when or what that will be, that’s what I want to find out”. 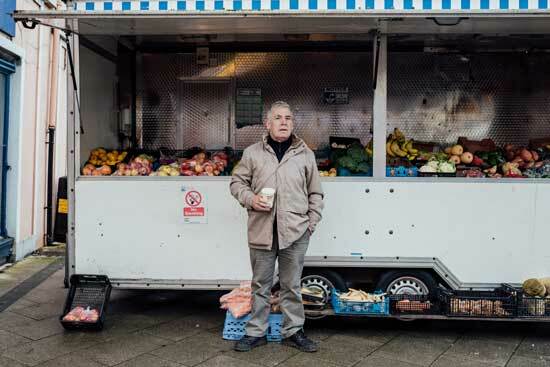 The following day I join photographer Russell on his shoot and we go into the Square to catch up with Danny. 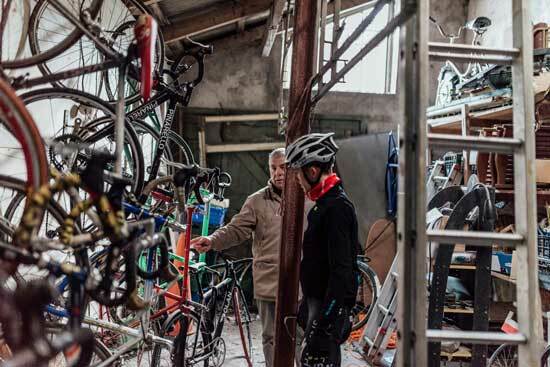 Eddie is back to his usual relaxed self, making time for passing well-wishers and showing Russell around Danny’s Aladdin’s bike cave: the old steel Mercian, bought by Danny’s brother in 1979 and ridden by Eddie in his first Junior race, hangs with the rest of the eclectic collection. It would be junk to most but is ready for a fresh crop of Kanturk hopefuls in the spring. Eddie heads off into a weak, wintery Irish sun and I try to process the previous day’s chat as we watch him powering over the familiar hills and drags. Is Eddie really on the cusp of something big? Am I still anxious for him? I should be: he has endured two psychologically-dark episodes along with two broken collarbones and a serious concussion. And he’s only 22, yet to face the monumental challenges of the game. However, he doesn’t seem so vulnerable now. He has been strengthened by those adversities. He is self-possessed, emotionally-mature and resilient. He is not a slave to trends or convention and is ploughing his own furrow. He has been astute and streetwise, aware of the exploitative side of the business, but equally loyal and appreciative. He has passion and, of course, that exceptional work ethic and ability to suffer. Yes, he is different, and I now believe it is probable: some time, on some big stage, that ambition – or perhaps destiny – will be dramatically unleashed. Something big is going to happen for our Eddie: he has a point to prove, after all. It is now September 2018, 10 months later, and I catch up with Eddie again before going to print. His Aqua Blue Sport team has suddenly folded and Eddie is home at Banteer to prepare for the World U-23 Championships. He seems quietly satisfied with his year to date: no spectacular win but gained solid experience and development from his step up to big races like Amstel Gold, Liège-Bastogne-Liège and Tour de Suisse. Amstel Gold stands out as a highlight: “It was my first really big one-day race and I was able to spend most of the day working in the break”. Any disappointments? Eddie pauses, with nothing significant seeming to spring to mind, and I give him a prompt: the collapse of Aqua Blue Sport? He is philosophical, or perhaps professionally non-committal: “It wasn’t great but these things happen and you have to respect Rick Delaney for what he invested in the sport. We have to be professional about it and just try to move forward”. And where will he be moving forward to next year? Eddie hedges a little, understandably as negotiations must inevitably be in progress, and I help him out: Will it be Pro Tour? “Yes”. Does he have options? “Yes”. Is he intimidated by the prospect? “Not at all: I want to learn and I’m ready for it”. I remind him of his benchmark for ‘making it’: a Monument or Grand Tour stage win. Are his ambitions dented by his year at Professional Continental level? “No. I’ve ridden Amstel Gold and Liège-Bastogne-Liège and they suit the type of rider I am. And I hadn’t done anything like the Tour de l’Avenir in two years but I rode myself into it and almost won the last stage”. And finally, his ambitions for the U-23 World Championships? “Nothing less than a win: that’s the frame of mind I’m in now”. ← ‘Types’ of Masters Riders: Which are You?